Composite doors, Exeter, Dawlish, Teignmouth, Newton Abbot. Manufactured entirely within the UK to exacting standards and independently tested, the ‘Black Diamond’ Range achieves that balance between performance and design whilst delivering exclusivity, quality and reliability. 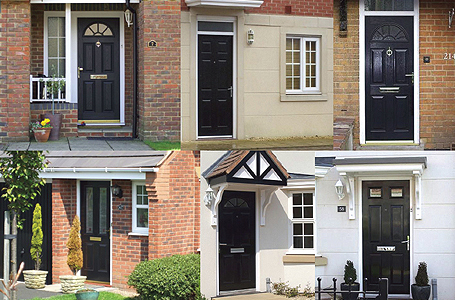 Incorporating 10 major performance and security features which are not normally available in other doors, one can feel secure when improving your home with a ‘Black Diamond’ door. Visit our showroom to experience the benefits of this great range. Architecturally, the home’s entrance door is a key feature in the overall appearance of your house and should be in keeping with the existing aesthetic styling, especially in older properties. It must also give protection, keeping out unwanted visitors or the worst of the weather. In the past the PVCu door industry has endeavoured to produce a door which was aesthetically pleasing, whilst remaining secure and weatherproof, few have succeeded – until now. The Discovery range of doors have been developed to exceed normal standards in order to meet your high quality expectations. 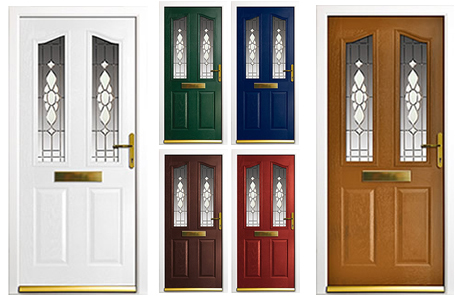 You will find in the Discovery collection 17 door designs to suit most types of homes, each incorporating choices of colour, glazing and security. The Discovery Collection has been independently tested and holds the British Standard Kitemark licence for single leaf residential doors. In addition to this, the Discovery Door is a police preferred product holding the prestigious “Secured by Design” licence.